About a year ago I knitted fingerless gloves. In the winter time, when the room is not as warm as in summer, my hands get cold - especially my right hand while I am typing and using a mouse when I work on my computer. So my fingerless gloves get very handy. Actually I made a video too (for righties) and it is becoming one of my popular ones. Few days ago I decided to knit mittens, which are based on my fingerless gloves. They are very simple and basic (and plentiful long). Actually, I consider them "an introduction into knitting mittens". After you master the basics, you can venture onto more complex mittens with cables or fair isle motifs. 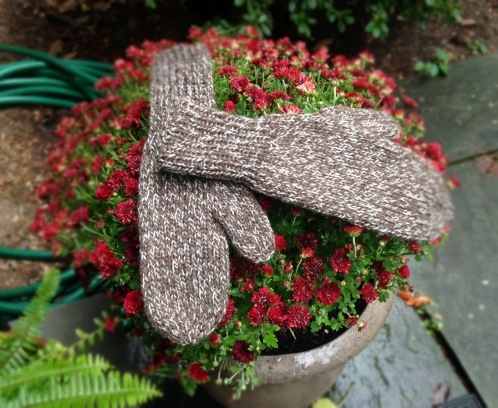 These mittens are small - perfect for small adult or youth hands. Enjoy and share with your friends and family. Spread the love for knitting and crocheting. And if you live in a cold area, stay warm. If you would like to knit these for a medium sized hands - CO 2 to 4 stitches more, which will reflect in the number of stitches for the palm. Knit 2-4 rows more before decreasing for BO. The thumb increase stay same. But you may knit 1-4 rows more for longer a thumb, before you decrease and BO. If you would like to knit these for a large sized hands (depending on the size of large hands) - CO 5 to 8 stitches more, which will reflect in the number of stitches for the palm. Knit 4-8 rows more before decreasing for BO. The thumb increase - add 1-2 extra increases, which will bring you to 15-17 sts for the thumb (before you place it on a thick yarn). Then knit 4-8 rows more for a longer thumb, before you decrease and BO. Righties - CLICK HERE for detailed video how to knit these mittens. Lefties should CLICK HERE for the "leftie video". Also I have created a "Google+ Page 4 LEFTIES" - just in case you would like to follow - I add leftie videos there. Transfer all 13 thumb sts onto a very bulky yarn (#6). Add a stitch by drawing a hook through a stitch below your last knitted stitch, and then by drawing a hook through a stitch below first stitch and only then pull yarn through both stitches with your hook. You made an extra stitch. Place it onto your DPN. 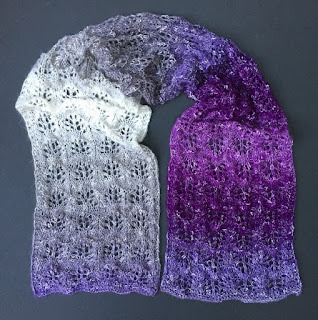 You should have 32 sts on all three needles (or on your circulars). Transfer all 13 sts from bulky yarn onto 3 DPNs. CO along the short palm edge 3 extra sts. You will have total 16 sts for your thumb.